Paramos, ecosystems of critical environmental value & rich biodiversity are endangered. 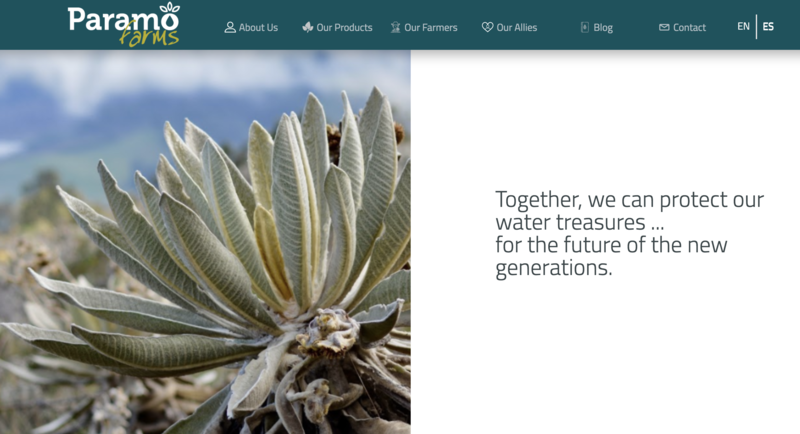 They are considered water factories that provide fresh water to millions of people. Paramos also capture more carbon from the atmosphere than tropical rainforests, & Colombia holds 50% of all paramos on earth. 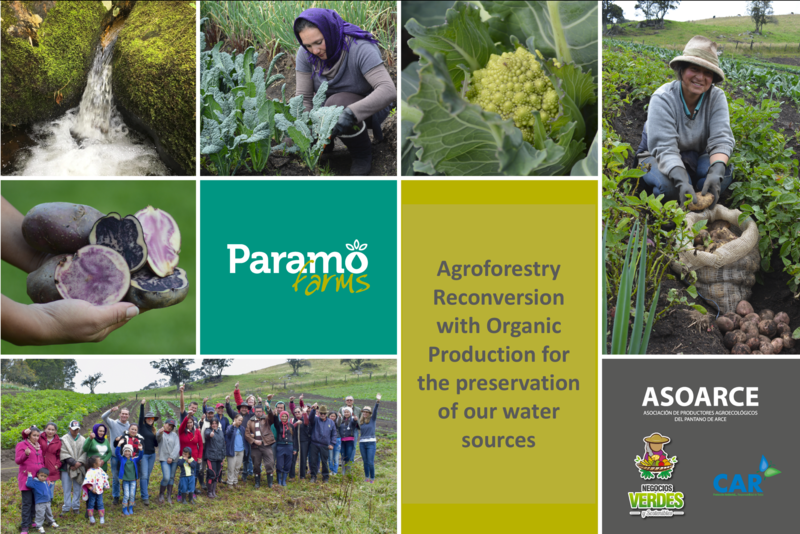 Potato monocrops with intensive use of agrochemicals & irresponsible farming practices have caused significant damage to the Paramos’ soils & water. Local laws promote sustainable agricultural practices as a key strategy to protect these vital ecosystems. Nevertheless, the government has failed to offer effective solutions resulting in farmers’ economic loss. Though small-scale farmers may have contributed to this deterioration, they do sustain 60% of paramos. With our help, small-scale farmers can become managers of sustainable practices, turning them into the solution. Despite growing awareness of the importance of freshwater ecosystems, human actions continue to degrade our paramos upon which we depend. Farmers in the Paramos have lost hope in agriculture as a viable economic alternative & continue cultivating potatoes in the traditional way. These families are in jeopardy of losing their lands because of law1769 that forbids agrochemicals use in the paramos, encouraging farmers to start the reconversion to sustainable practices. We started the project supporting & motivating a small-scale farmers’ community located in a village 3,000 meters above sea level. The community adhered to an organic production program, growing organic production sustainably including >20 varieties. These farmers used to grow potatoes monocrops & now are formally associated as an example of SOLIDARITY ECONOMY, demonstrating that they can support each other as a team for a common aspiration, overcoming individualism & selfishness as strategic keepers of a vital ecosystem. Paramo Farmers have been growing potatoes & milk cattle as the main source of living for generations in the traditional way, with agrochemicals. Nearly 2 years ago, motivated by extraordinary leaders of the community, farmers Elena, Chena, Barbara, Mireya, Felix and his neighbor Jose, a passionate and inspirational agronomist, decided to take a proactive role exploring different alternatives for sustainable agriculture suitable for the adverse weather conditions or the paramos. They were truly convinced that “agricultural reconversion” & the implementation of responsible practices with the environment was the best way to preserve the vital but fragile ecosystem like the one they live in. The community with our help and the commitment from other local stakeholders started a behavioral change towards a sustainable way of living, where they stay together as a family in the farms, preventing their children to leave to the big cities & keeping them working in the fields. We need to continue consolidating & expanding these behaviors within the community so farmers won’t abandon the program returning to conventional practices. If they do, farmers’ families may be forced by government agencies to stop their agricultural activity, leading to the disappearance of small-scale agriculture in the region. Most importantly, the families will be forced to leave their lands & potentially become displaced. Our intervention is key for the sake of the Paramo, the planet, the farmers & families. The community began farming in the organic way almost two years ago, and they are still doing it. Furthermore, their products are shown through Paramo Farms at local fairs and sold through Origen Sano and other channels. Some evidence, the women that used to be housekeepers and did not participate in the farming, they became active leaders of the community, not only working the soil, but also learning how to do it organically and following the certification requirements. Also, their children, who were milking cows before 4am every day, and work in high risk conditions, they now changed their interests to be part of the project and productive in organic agriculture but some of them work on the germination of the products, and commercialize them to the rest of the community. Other evidence of the work done, we received recognitions from the CAR, we were awarded 42nd. place in the top 500 Green Projects of Latin America, #4 of Colombia and #2 for Human Development. Paramos are high mountain ecosystems present in some tropical regions of Central & South America, Asia, Africa, & Oceania, usually located >3,000 meters above sea level. Colombia is home to half of the paramos of the world. More than 300,000 people live in Colombia’s paramos. But the paramos are deteriorating rapidly, due to intensive agriculture, mining, livestock & extensive grazing. Today paramo’s soils have little organic matter, they have deteriorated to such an extent that many no longer store or release water gradually. But the paramos also absorb large amounts of CO2—even greater quantities than the tropical jungles & the plains. Through a process dependent on low temperatures, they convert CO2 into organic matter. The amount of CO2 that the paramos absorb is notable, one hectare of a protected paramo can capture up to 200 tons of CO2 in one year. The consolidation of this project might represent the beginning of a new sustainable economic era for the Paramos. 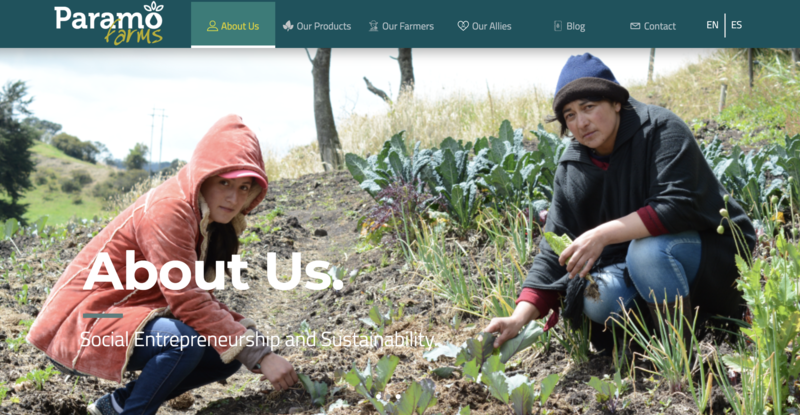 Social: Awarded #2 in social development by Green Latin America, as mentioned, and through cooperative activities, mutual aid, and self-management, the associates have shown that they can work effectively when pursue a common good. Biodiversity conservation: Some experts believe that the paramos might hold the highest diversity of species in a tropical high-elevation ecosystem in the world, with more than 5,000 plant species. This ecosystem is rich in all kind of ‘endemic’ species. Water: Paramos occupy just 2% of the national territory, yet they produce 85 percent of its drinking water. They are key for water storage and regulation capacity, they supply water to 16 capital cities and 73 hydroelectric plants in Colombia, and other countries in the region. Sustainable development: We will complement each phase with sustainable use of land and water through agroforestry systems, biological & bio-rational management for nutrition systems. Our program already turned into a "living school"